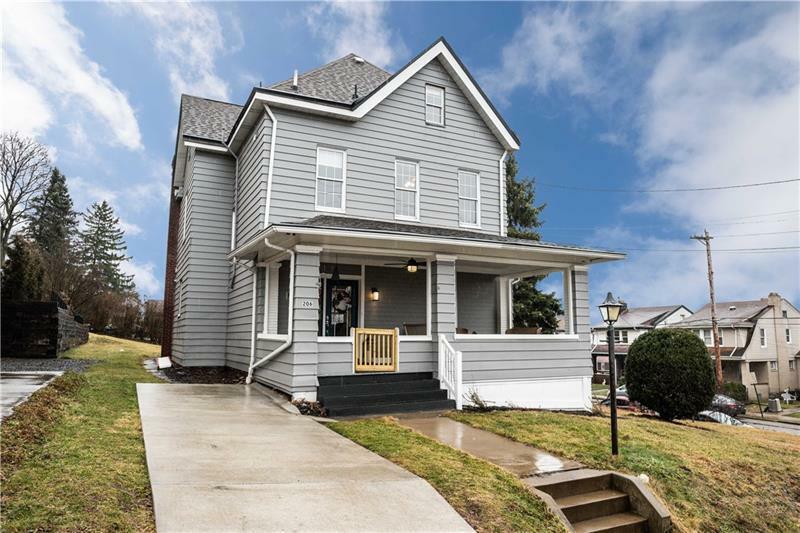 Beautifully renovated 5 bedroom 2.5 bath home on a corner lot in the Avonworth School District. Open Concept First floor has recessed lighting, wide board hardwood floors and loads of natural light pour into the dining room thru the large windows. Kitchen has 42” cabinets, newer Stainless Steel appliances and Granite counters. Mudroom and half bath complete the first floor. 2nd floor has Master Suite with full bath, custom tiled shower and large walk in closet, 2 additional bedrooms, laundry and a hall bath. 3rd floor has large living area for family room, play area, or office space and 2 additional bedrooms. Sit on the covered front porch or entertain on the back deck that overlooks large back yard. Newer driveway, large enough for 2 vehicles and plenty of onstreet parking. Home has newer furnace, AC, electric, plumbing. Location provides convenient access to the City and 279, 79, 65.